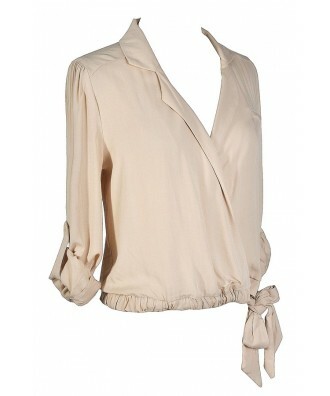 This pretty tie side blouse has a feminine cut and details we love. This is a great alternative to your standard button down top. 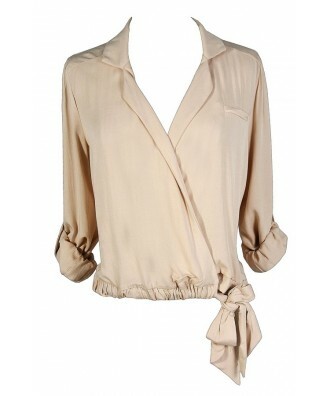 The Crossover Tie Side Blouse is made of a flowy fabric. It has a collar that continues down the front and gives way to the crossover design that ties off to one side. Details such as cuff sleeves give it a dressed up look. The sleeves can be rolled up and buttoned to a three-quarter length if you prefer. The Crossover Tie Side Blouse looks nice paired with a high waisted skirt for a business casual look. 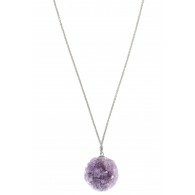 You could also dress it down with denim, skinnies, or wide-leg dress pants. 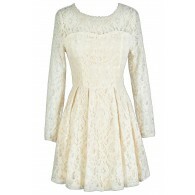 Try tossing a cardigan or blazer over this dress for a put-together look. Details: 100% rayon. Hand wash cold water. Do not bleach. Line dry. Iron low. Do not dry clean. Small measurements: Length from top of shoulder to hemline: 20". 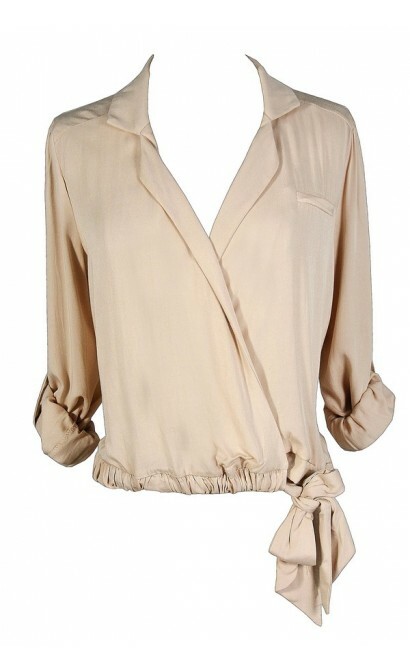 You have added Crossover Tie Side Blouse in Beige into Wishlist. 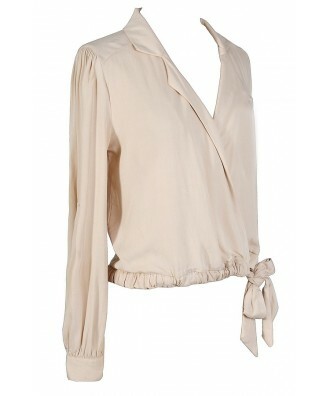 You have added Crossover Tie Side Blouse in Beige for Stock Notification. 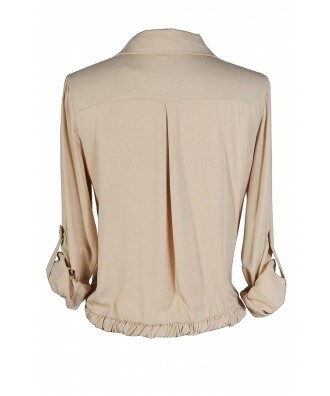 You have set Crossover Tie Side Blouse in Beige as a loved product. 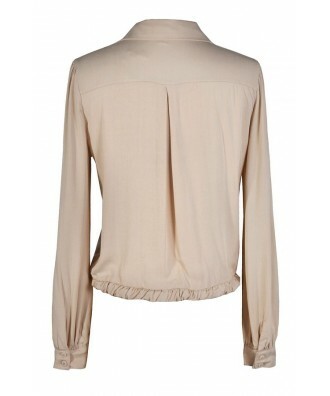 You have removed Crossover Tie Side Blouse in Beige as a loved product.